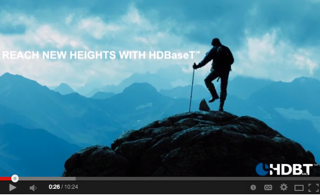 HDBaseT at a Higher Level...Is It Ready, Yet? There have been some interesting talks about the adoption of HDBaseT, especially in higher ed. I understand why—it's quite amazing that you can send video, audio, control, Ethernet, and power over a single (inexpensive) CAT cable. Interestingly enough, during my discussions with technology managers, it seems many are holding off just a little bit longer before taking the plunge. However, a few have already adopted the technology and are standardizing on it in their classrooms campus wide. Why is HDBaseT being adopted so slowly in higher ed when it seems like an EdTech panacea? Okay, maybe that's a little dramatic, but we agree that it is a cost effective solution to many challenges. Clearly, HDBaseT technology has qualified benefits for higher ed classroom installations. It seems that manufacturers will continue to see an increase in the demand for products incorporating HDBaseT as long as those products work seamlessly in their room and system designs. Unfortunately, one of the speed bumps that often slows progress is the lack of interest from manufacturers to develop products that “play well” with others. As interest becomes intent our AV professionals in higher ed will move forward with HDBaseT enabled products that cooperate and offer the full array of 5-play capabilities. This ensures they can design a room that works best for their staff, students and faculty rather than a room designed using products which limit them to a small choice of compatible equipment and crossed fingers. Gina Sansivero is Director of Educational Sales at FSR, Inc in Woodland Park, NJ. FSR is a US manufacturer which offers connectivity, infrastructure, AV, and collaborative technology products worldwide. Gina is a member of InfoComm International and a team member of the Long Island Volunteer Enterprise. To reach Gina directly, please email gsansivero@fsr.com or chat on Twitter @GinaSans.